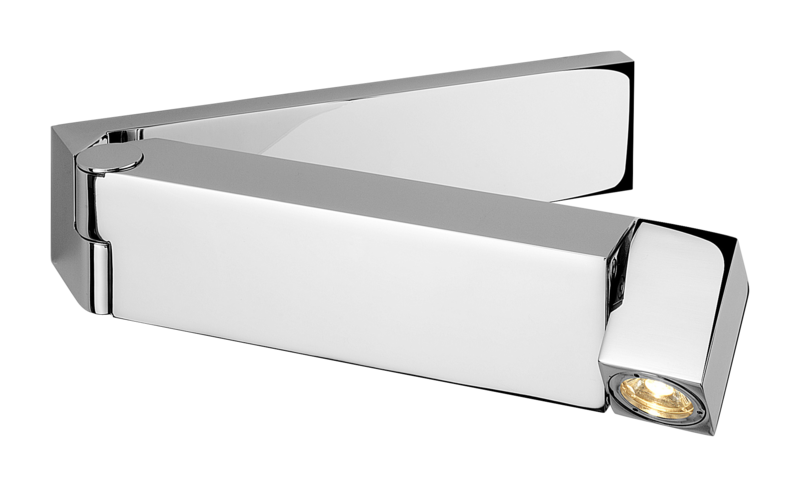 Stunning chrome wall light whose crisp clean outline will enhance and brighten any room.¬†The light consists of a hinged polished chrome bracket that extends away from the wall at an angle of your choice and culminates in a single LED enclose in a polished chrome cube. An elegant design that positions light wherever you want it yet is not obtrusive. This stylish light would fit well in any room of your choice and great for commercial or domestic settings. It features both an integral switch and an integral LED driver.